You may be required to create a user account (“Account”) in order to use or access certain aspects of the Site. You agree that all of the details you provide in connection with your Account are about yourself and not about another individual. You may not use anyone else’s Account at any time and you may not allow anyone else to use your Account at any time. You are responsible for all activity occurring under your Account, including all activities or transactions conducted through the use of your Account. You are responsible for maintaining the confidentiality of your Account username and password, and agree not to disclose your username and password to anyone. You agree not to transfer, resell, or otherwise convey your Account or the right to use your Account to anyone. You agree that 9GTA5Mods.com will not be liable for any loss you may incur as a result of someone else using your Account, either with or without your knowledge. If you have reason to believe that your Account is no longer secure, you must: (i) promptly change your password; and (ii) immediately notify us of the problem through our contact page. Certain aspects of the Site may allow you to submit or post a variety of content to the Site, such as text (including comments), images, videos, and other content, either directly to the Service or through a Third Party Service (collectively, “User Content”). Your User Content remains your own. Please retain copies of all User Content as 9GTA5Mods.com is under no obligation to store or return any User Content to you. You are solely responsible for your User Content. 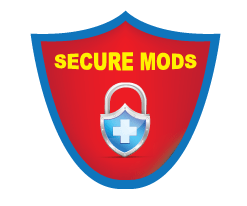 9GTA5Mods.com only acts as a passive conduit for User Content, and will not be liable for any use, disclosure, or exposure of any User Content, including possibly objectionable or offensive User Content, to you, any other user, or any third party. 9GTA5Mods.com is under no obligation to monitor User Content or use of the Site. However, 9GTA5Mods.com has the right to monitor or moderate User Content, in our sole discretion, and to enforce our or a third party’s intellectual property rights in any User Content. 9GTA5Mods.com reserves the right to discard or remove User Content from the Site in its sole discretion and without any liability whatsoever. Your use of the Site is at your own risk, and the Site is provided “as is” without warranties of any kind, either express or implied. 9GTA5Mods.com does not warrant that the service will be available, uninterrupted, secure, or error-free, that defects will be corrected, or that the service or the servers that make the service available are free of viruses or other harmful components. 9GTA5Mods.com does not accept any liability for any loss or damage arising from your use of the Site.